Former Trump adviser and confidante Roger Stone on Wednesday denied the suggestion that he had "advance warning" of the release by WikiLeaks of hacked emails purported to be from Clinton campaign chairman John Podesta. Stone, who is not a formal part of the Trump campaign, said he and WikiLeaks founder Julian Assange have a "mutual friend." After Podesta on Tuesday suggested Stone was in collusion with the website, Stone called the claim "categorically false." "I have a back-channel communications with WikiLeaks," Stone told NBC News. "But they certainly don't clear or tell me in advance what they're going to do." Emails purported to be stolen from Podesta's Gmail account were released by WikiLeaks on Friday. Some of those emails appear to show excerpts from Clinton’s paid speeches to Wall Street banks. More emails were released Wednesday. 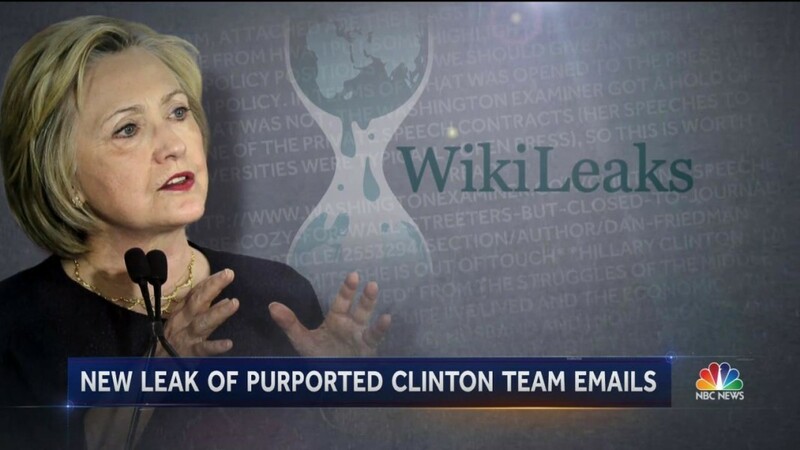 NBC News has not authenticated the emails released by WilkiLeaks. The Obama administration on Friday publicly accused the Russian government of being involved in recent hacks and email leaks. 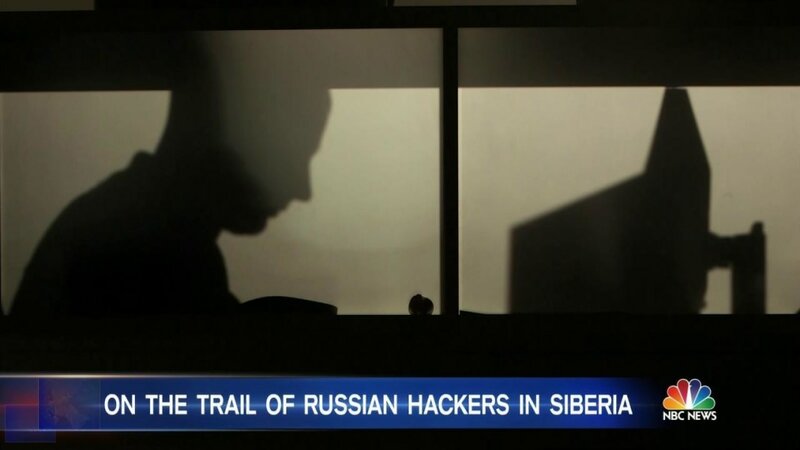 But Stone on Wednesday cast doubt on U.S. agencies investigating the cyber attacks. "If I were on one of those committees, I would demand proof because it appears to me that the CIA and Homeland Security are acting in a partisan nature," Stone said. "Because no, I don't believe it," he added. Stone said on Twitter in August, after WikiLeaks published other emails purportedly stolen from Democratic Party institutions, that "Trust me, it will soon the Podesta's time in the barrel." Podesta told reporters Tuesday night that "I think it’s a reasonable assumption to — or at least a reasonable conclusion — that Mr. Stone had advanced warning and the Trump campaign had advanced warning about what Assange was going to do." Podesta added, "I think there’s at least a reasonable, reasonable belief that Mr. Assange may have passed this information onto Mr. Stone." 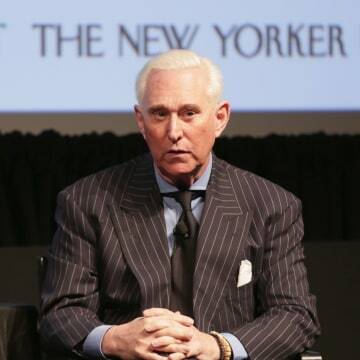 Stone, 64, has long been one of the most aggressive political opposition research experts, mostly for Republican candidates, and has also founded a Trump super PAC. He is widely believed to be still communicating with Trump even though the campaign officially severed its relationship with Stone back in August 2015 after Trump’s comments about Fox News anchor Megyn Kelly. At the time, the Trump campaign said in a statement that the veteran strategist was fired after he "wanted to use the campaign for his own personal publicity." Stone said he resigned, and called the public spat with Kelly a "diversion" and a "food fight." 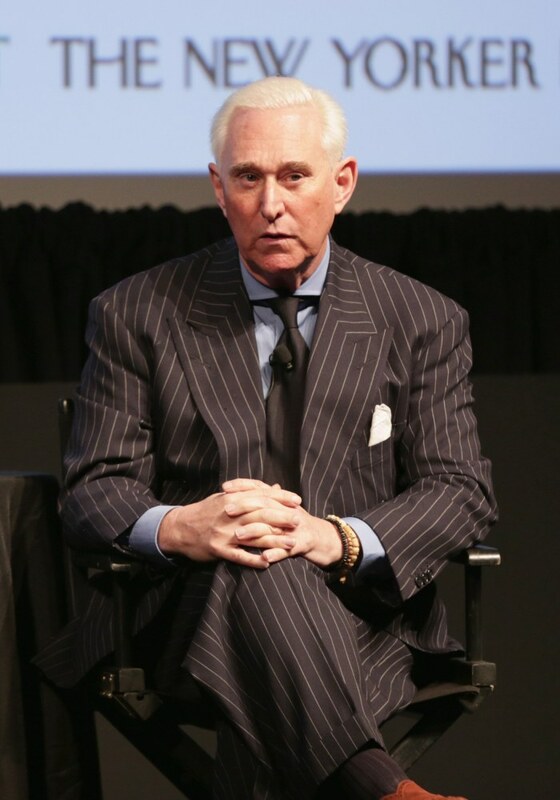 Stone said Wednesday, "I have no formal nor informal role with the Trump campaign and I'm not in daily contact with them" and "I don't coordinate my activities with them in any way." Stone told NBC News Wednesday that he has never met or spoken with Assange, who has been staying at the Ecuadorian embassy in London since 2012 to avoid extradition to Sweden over a sexual assault claim. "We have a mutual friend who's traveled to London several times. And everything I know is through that channel of communications," Stone said. "I'm not implying I have any influence with him or that I have advanced knowledge of the specifics of what he is going to do. I do believe that he has all of the emails that Huma Abedin and Cheryl Mills, the Clinton aides, thought were deleted. I hear that through my emissary." WikiLeaks said on Twitter Wednesday that: "As we have already stated clearly: WikiLeaks has had no contact wiith [sic] Roger Stone." 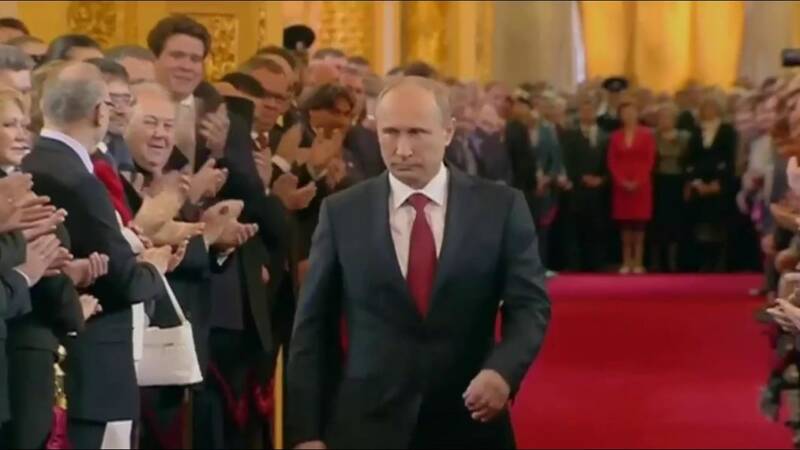 On Friday the Obama administration publicly blamed Russian President Vladimir Putin's government for a wave of hacking attacks and email leaks, saying the goal was "to interfere with the U.S. election process." 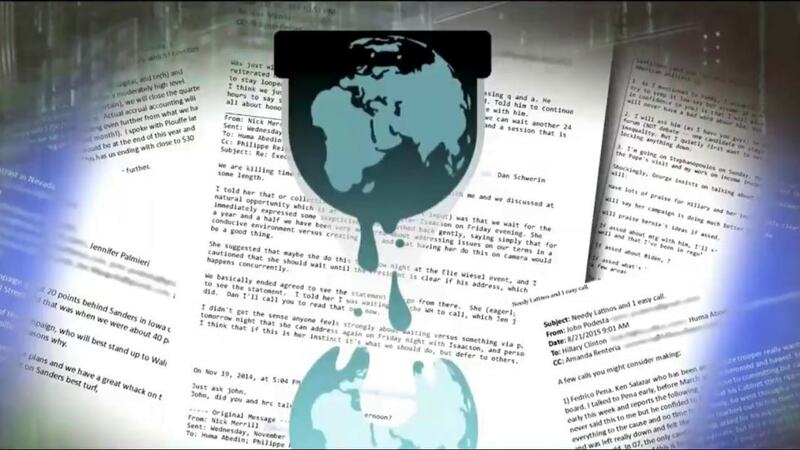 A statement from the Department of Homeland Security and the Office of the Director of National Intelligence linked the Kremlin to disclosures by DCLeaks.com, WikiLeaks and Guccifer 2.0, which have leaked emails from the Democratic National Committee and former Secretary of State Colin Powell, among others. And in response to Stone's comments, Clinton campaign spokesman Glen Caplin told NBC News, "It is disturbing that Roger Stone, a longtime Donald Trump confidante, has confirmed the fact that has 'back-channel' communications" with Wikileaks, an organization that is working with the Russian government to affect the American presidential election." 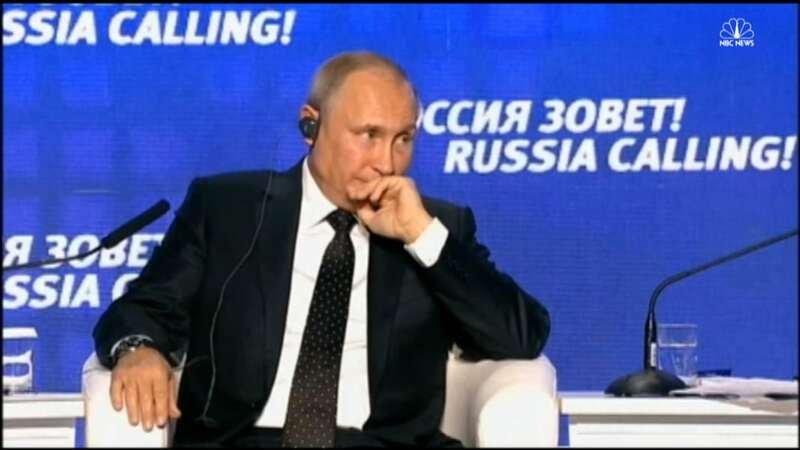 Russia has denied involvement, and on Wednesday Putin at an economic forum in Moscow said "hysteria" over the hacks "is simply to distract the American people from the contents of what the hackers have posted." Assange last week said WikiLeaks would publish "significant" information involving the U.S. presidential race before the November election. Assange has denied WikiLeaks was being used by Russian officials trying to sow chaos in U.S. politics and help Trump win the presidency. Trump’s past praise of Putin, and the GOP nominee’s invitation that Russia should release emails deleted by Clinton, if they have them — Trump later claimed his comment was a joke — has been used by Democrats to attack the Republican candidate as being too close to the Russian leader. Stone said Wednesday that he has no connections to the Russian government or Russian interests and has no Russian clients, and said “My sole connection to Russia was a love for Stolichnaya vodka straight up with a couple olives." "The entire narrative that Trump supporters, of which I am one, are in bed with the Russians — this is the new McCarthyism," Stone said Wednesday. "There’s nothing to it." Podesta in a statement released by the Clinton campaign on Wednesday said "It is now clear that the illegal hack of my personal email account was — just like the other recent, election-related hacks — the work of the Russian government." "Worst of all, the growing number of links between Trump's associates, Wikileaks and the Russian government raises troubling questions about the possibility that Trump's allies had advance knowledge of the release of these illegally obtained emails," Podesta said.